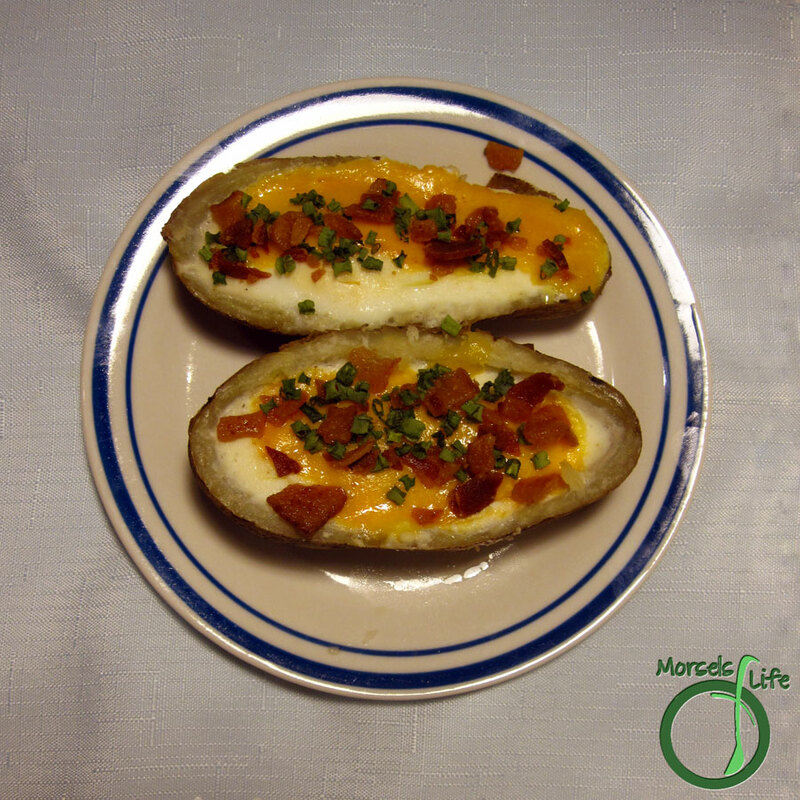 All the flavor and tastiness of potato skins, made filling and healthy enough for breakfast. As I made the Tater Skins, I noticed we had one larger potato. 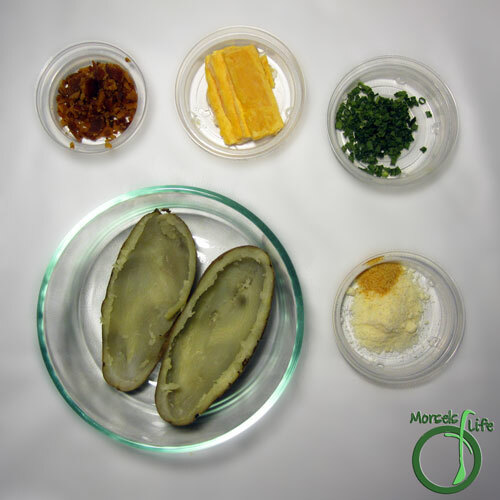 I didn't really want to make a super huge potato skin, so I started thinking about how else I could use it. I still had some potato skin filling left, but not quite enough to fill an entire potato skin. Then I thought back to the egg in an avocado and egg in a basket. Why not add an egg and call it breakfast? I started out baking them like the egg in an avocado, and then I switched to steaming. We both preferred steaming, and it's a bit faster, but you could make more at once if you bake them instead. I just made two, so steaming it was! 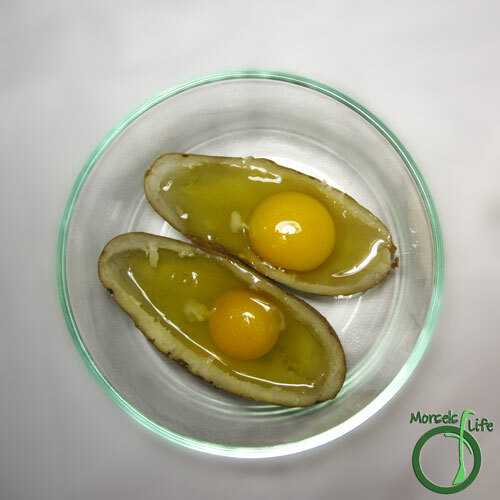 What do you like to combine your eggs with when making breakfast? toppings I used bacon bits, cheddar cheese, Parmesan cheese, green onions, and garlic powder. 2. 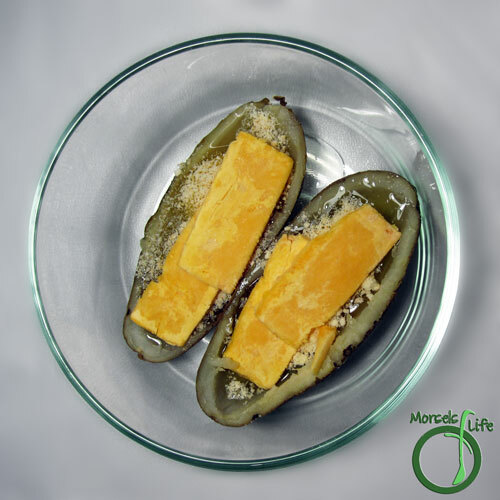 Place eggs in potato skins. 3. Add toppings and steam or bake until eggs cooked to desired hardness. This looks so good! I am doing a giveaway and would love for you to come by and check it out! This looks really good! Thanks for linking up with "Try a New Recipe Tuesday." I hope you will be able to join us again this week. 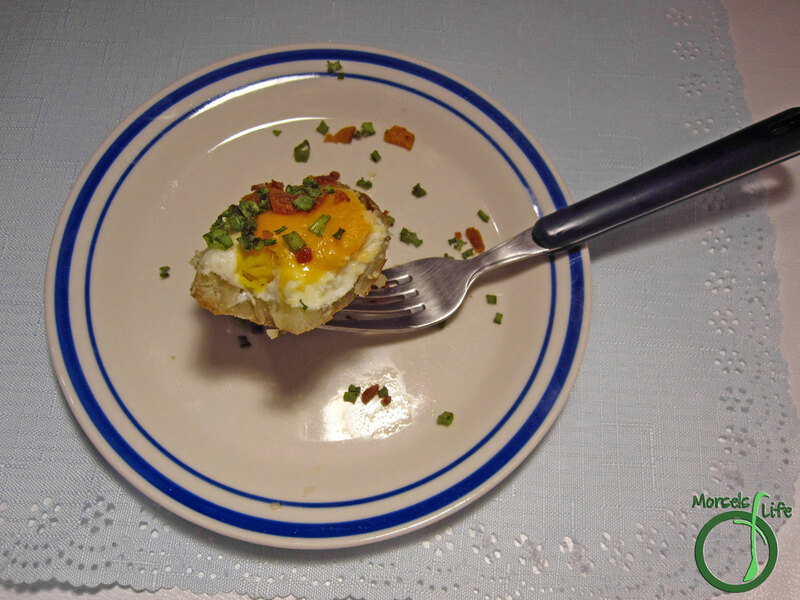 This looks great - I love egg and potato together, I need to try this! Thanks so much for linking up to the Friday Frenzy - Hope to see you back tomorrow! Thanks for stopping by! It's been a while since I've made this one. Maybe I need to make it again - thanks for the reminder!